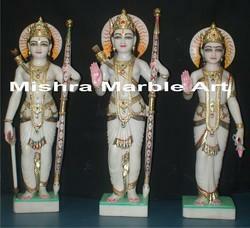 Our company offer Statues of Gods and Goddess made with pure marble. 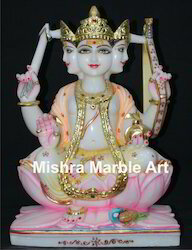 We craft idols of various Gods and Goddess using excellent quality marble obtained from the reliable vendors in market. 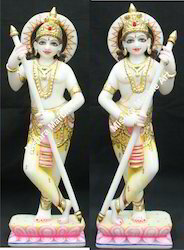 We offer these idols in various sizes and specifications. 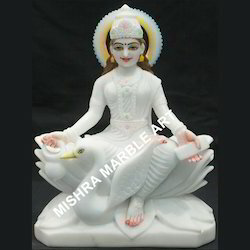 We are an acknowledged manufacturers of Goddess Laxmi Statue. Our master craftsmen transform stones into artistic creations, lift the spirit in keeping with the belief that a thing of beauty is a joy for ever. Owing to the quality of the marble and the artistry of the craftsman with passage of time, these items get even better in terms of natural luster. 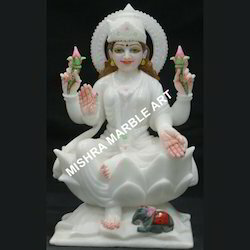 The life like representation of Goddess Laxmi Statue in white marble lifts the mood of the whole ambiance. The beautiful smile on the idol's lips reaches her eyes making the believer feel that the goddess of abundance has really descended in the home. We offer the range in most affordable prices. We offer an exclusive range of goddess gayatri. 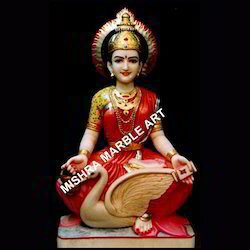 With the help of our experienced artisans and craftsmen, we provide santoshi mata statue to our clients. These are ideal for deploying in temples and places of worships. 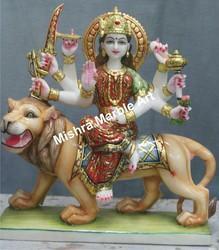 Maa santoshi is being worshiped on fridays and is considered a form of goddess durga. In this statue goddess santoshi sitting on her shrine holding a trident in one hand, a sword in another a bowl of holy water in the third and the fourth hand raised to offer blessings. 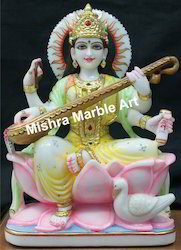 We provide the statute of Maa Saraswati Moorti to our clients. These statues are known as the goddess of knowledge and arts in Hinduism. Our statue is designed bu experienced artist and in this statue the Sarswati is sitting in an artistic pose holding her veena. Furthermore our range is highly acknowledged by our clients for the smooth finish and quality. 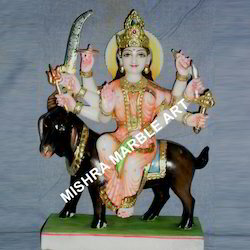 We are engaged in providing the exclusive statue of Maa Gayatri Ji Idol. these are processed using best grade marble and stones. 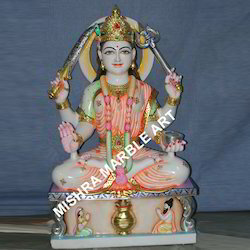 This statue is very colorful and ideal for deploying in some place of worship, temple or educational institutions. Her sari has red color and the ornaments and accessories are craved out with dexterity. It is well known for the fine finishing. 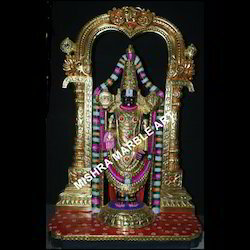 We also provide the statue of Tirupati Balaji Moorti, which is also known as venkatachalapathy or srinivasa. This god is highly worshiped in the south of India and considered a form of lord vishnu. These statues are made of premium quality black marble. Furthermore, the ornaments of this statue is made using golden embellishments. 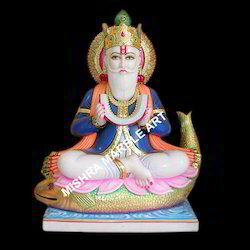 Our esteemed clients can avail from us an extensive range of Jhulelal Statue at industry leading prices. This statue is carted by experienced professionals using white marble. The cloths and accessories and the facial expressions are skillfully carved out by our sculptors. Furthermore, we meet the individual requirement of our clients in the best possible manner. 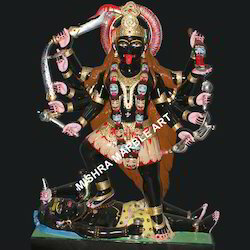 We offer an exclusive range of mahakali statues. Looking for Other God and Goddess ?